Cosmic has been providing corporate and individuals QuickBooks training for over 15 years. Our philosophy is to provide "Quality training at affordable rates". Yes,learn new software in online version. How to use and how to prepare/ make general entry, budgeting, report etc. "The training provided helped in understanding quick books in consolidated company reports and working remotely.The training period should have/been more than 3 days." "10 days comprehensive Quickbooks training has given us professional touch to work on Quickbooks.It will fulfill the job requirement as assigned from World Bank." "10 days comprehensive Quickbooks training has given us professional touch to work on Quickbooks.We did undergo Quickbooks training in Afghanistan but the training at cosmic was very practical and professional." "Detailed training knowledge very helpful in my existing role." Geetha H NSenior Manager, Operations and Finance/ Prism Networks Pvt. Ltd.
"In depth knowledge provided in QuickBooks." "The training has given me confidence in working on Quickbooks 2015 and will help in my professional field to achive my goal." "I got practical knowledge in simple way." "10 days training in Quick books premier 2014 has really helped me to understand quick books in depth and my travel from Abu Dhabi to Bangalore has a real value." "I have learnt lot of new things in Quick books premier 2014 which will help me in my career. I am very much impressed about this programme and this training will make me to do better job in my career." "100% Practical training and knowledgeable trainer on Quick books ." "The Input received in the training was very useful in my professional life in using Quick books more user friendly." "I have attended 3 days online training of Quickbooks 2014 it has given much detail sabout QuickBooks 2014 version and shortcuts ." "The quick books training will be very use full in my accounting career after attending 3 days training. ."
"I liked the dedication of the trainer in training in Quickbooks training and the inputs obtained has met 100% of it's purpose ." "It will assist me to grab knowledge in QuickBooks working. This will provide opportunity to work in US, Canada and Dubai ." "Very useful training in Quick books 2014/ Premier version of Quick books. I find training in Batch entry, Memorizing transactions, Standardized reports and preferences very useful." "Training in Quick books 2014 has helped in saving my time in my Bookkeeping activity." "The training in Quick books 2014 premier updated my knowledge in Quick books about various reports and other parts of Quick books has been explored by me." "I am new to Quick books and the training has helped me to get started on my work in Quick books with my company which is a US based NGO." "Quickbooks training helped me to understand better usage of the software after attending training here and I really liked topic wise explaination and Hand out provided to refer at later stage." "After attending quickbooks training it has become very easy to maintain books of accoutnts in Quickbooks software." "My next job is fully related to Quickbooks and after attending 10 days training here in cosmic I have confidence in handling my job effectively. I will be flying to Dubai. "The training programme was very easy to understand, user friendly and it will help me in implementing the same in my company which has branch office in USA." "The training in QuickBooks 2013 was pretty much useful, set/up was good. Faculties took pain to clear all my doubts and find solutions." "The training was very good and very useful. The faculties' practical knowledge in working with CPA firms has added value to my learning." "22 days of quickbooks training has helped us to get in depth subject knowledge making our Accounting and Reporting work easier." "22 days Quickbooks training helps a lot to our organization in every aspect and field of maintaining Books of accounts for our US subsidiary." "In this 22 days of Quickbooks training I got lot of practical exposure so that I can implement in my company." "It is very helpful to gain overall QuickBooks accounting procures and US accounting methodologies." "Got good knowledge about customers, vendors and Banking in QuickBooks. This program is very helpful for my job." "Got good knowledge about quickbooks, it was very useful for my job and all the objectives were explained clean." "The training is given by different trainers who have shared their real working experience on Quickbooks which has helped a lot in understanding the software." "Very practical approach in training on Quickbooks." "Training was very helpful good faculty ,cleared all my doubts and questions." "Quickbooks training of 10 days has helped me a lot in my plan to relocate to US with my ambition of becoming a CPA. Trainers have given me pratical knowledge about the Quickbooks which will help me in my future career plan." "Found training very practical oriented and useful to build my career in US accounting industry. I hope it will help me to build my career in USA.."
"Found training very practical oriented and useful to build my career in accounting indusrty. Thankyou"
"It is very much useful due to sharing of practical experience by the team in quickbook citing live examples." "It is very much useful due to sharing of practical experience by the team and Good co/operation and excelent feedback by the team in case of any query." "I find QB is very useful for our Indian economy not only for commercial activities even for industrial activity where Inventory control is very essential." "The inputs which were obtained in the training was very much useful for me while working with QB, Because of I haven't been through such inputs before. 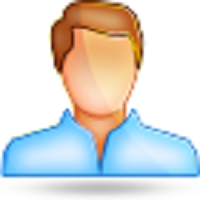 I have an opportunity to work on Quickbooks 2011 latest version of Quickbooks." "I am confident now I can do it my own ofter completing this class. T thank you to give this opportunity to build my future in QuickBooks and Accounting in QB." "Most of the elaborated featus available in one screen – best thing in QB. Programs have very friendly and my career objective of working in Kabul was met successfully. " "Very Practical approach and helped me to work on Quickbooks premier 2010 successfully." "Most of the elaborated featus available in one screen – best thing in QB. Programs have very friendly ." "The training was useful with how to use concept that will help in using the Quick Books more efficiently." "The training was useful. I came to know about various things in Quick Books, which we were not using." "User friendly, It is an intelligent accounting software and meets requirement of small and medium business. Reporting is great." "The training was very useful. The further benefits I can analyse when I start implementing it in operation." "It provides the complete structure in AR and AP. All parameters in the software has been explained by the faculty and it will help me to find suitable job abroad." "Training was Very much useful. We can implement it as per our job reqiurement." Swati DamleMedusind Solutions India Pvt Ltd.
"It is useful for maintaining financial accounts and reports. The software is user friendly and menu driven." Prakash KanitkarMedusind Solutions India Pvt Ltd.
"It has helped me to grow my career in this field. Before joining this course I had less knowledge about Quickbooks, but after attending this course I find working on Quickbooks at my ease." "Very useful, elaborate details covered in the package". "Very useful, customized to meet our requirements." "The reconcilation, maintaining vehicle mileage, time sheet for workers and report centre would be very important." "The presentation was excellent and the program content was very useful. 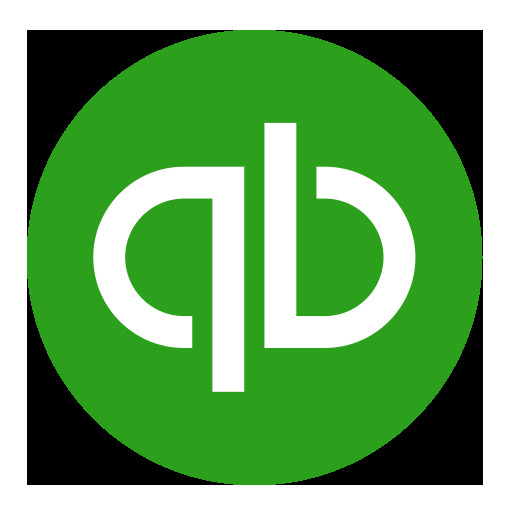 I am now able to work on Quickbooks with multicurrencies environment." "The program gave me an overall picture of the Quickbooks and it was definitely useful for me.All the topics were covered in a planned manner." "The inputs obtained in the program was very useful to me and helped me to use the package in my organization. The training was very effective as all the queries posted were cleared on the spot. Congratulations to the team who has given me this training. Looking forward for few more sessions." "The training was good and I really enjoyed it.The faculty knowledge was good and was easily understandable.Will keep you posted if I come across any gap when i start using QB practically." "This is one of the best classes I have taken...it's really wonderful. I would recommend it to anyone using QuickBooks!" "I am now comfortable doing my job in QuickBooks in my company which has sponsored my training fees and it's a real value addition to my career." "This training really frees me up to focus on the strategic aspects of the company...not just the accounting." "Very informative; great instructor; excellent integration between general accounting principals and QuickBooks functionality." "I learned LOTS of useful things in this QuickBooks class. The instructor's knowledge was a very good and they answered all my questions." "We were very fortunate to find QuickBook Training in Bangalore. Their training helped me in working on a weekly basis with my daily sales entries, payroll, A/P, generating checks to vendors, and printing monthly reports, such as profit and loss, and cash flow." "I had a wonderful training from cosmic for my career where in I am planning to grow my accounting practice in Indian accounting market handling books of accounts of SME's." Cosmic IT Services, provides complete outsourced bookkeeping, financial information management solutions, taxation and support services to SME's. Cosmic has been providing corporate and individuals QuickBooks training for over 5 years. Our philosophy is to provide "Quality training at affordable rates"
Looking for QuickBooks experts to update your QuickBooks @ $ 0.5/transactions ? Send us your requirement now. We will get back immediately. Gain a strong foundational knowledge of QuickBooks and become a certified ProAdvisor. Master the art of managing your clients' books in QuickBooks. Bookkeeping is a growing profession - it is demanding, exciting, challenging and above all, rewarding. It is about understanding how a business works and then providing accurate figures that enable the business to know exactly how well it is doing. For men and women of all ages and from all backgrounds it provides an outstanding career opportunity. Cosmic Quickbooks training institue is part of cosmic IT services (P) Ltd is an ISO9001:2000 certified company and also proud members of CSEZ (Special economic Zone by Government of India) where in our company is treated an 100% EOU (export oriented Unit) we are focusing mainly on providing IT and ITES solutions in the area of financial accounting, Book keeping, Taxation, payroll and other allied areas for US and UK markets and also offers comprehensive IT-based solutions and services designed to address specific customer needs. Cosmic is also a local partner of 8020 Accounting Systems LLC, USA and provides QuickBooks training in India. After the techies, it is now the turn of the finance professionals to strike it big in KPO. Also for those who are migrating to US or any US based companies having branches in India needs to maintain their books of accounts in QuickBooks. Our training program equips them best. Bookkeepers become an accountants and inventory control experts at a higher rate than any other profession. Those who leave the record-keeping industry altogether use their bookkeeping skills to understand various tasks within an industry, then move to positions of managerial control. The people who take this route, however, usually supplement their bookkeeping skills with business courses, seminars, or second positions where they can demonstrate their management ability. Cosmic IT Services Pvt. Ltd. Copyright Cosmic IT Services Pvt. Ltd. All rights reserved.